When I read a book, I want to be taken away to another world, but I want to learn something too. Historical fiction really fits the bill for me, and that’s why I write it as well. I’ve had six short stories published, two of which have won awards. You can read these stories on this site. I also helped write and edit a book of collected memoirs called Stories United: Harvesting Elders’ Wisdom, which has sold almost 1200 copies. I hold workshops on memoir writing and I read my poetry and prose at open mics. Some of my published poems are on this website. But far and away my favourite activity is writing well-researched historical fiction based on the lives of my ancestors. I have been blessed with ancestors who have fascinating stories that need to be told, and, since this is fiction, I get to add my own spin and pump it up just that little bit more. My latest novel is based on the life of a different ancestor, Michael Eisan, a Loyalist who settled in Ship Harbour, Nova Scotia after the American Revolution. Its working title is The Loyalist. You can read more about the research behind all these books in my blogs. It will be e-published on March 1, 2017, but you can pre-order a copy from your favourite retailer now. I am the president of the executive of Victoria Writers’ Society, and I belong to a novel critique group. Critique groups are a great way to get feedback on your book. Keep on reading and keep on writing. Your words are important. I found your blog, and I’m feeling very smug about it too, as I am so aware of how little I know about all the new communication tools folks use these days. It’ll be fun to read your blogs. I do feel quite inspired by the workshop last weekend to do some more writing and to read other peoples’ work as well – thanks again. I am a Dean as well. My name is Rebekah (Dean) Marshall. John Dean was my great, great, great, great grandfather. I have the same Burris book as you. I am going to the Middle Musquodoboit signing tomorrow where I hope to meet you and purchase the two books you have in hard copy. I would like to have them all but my sister tells me two of them are only available for a e reader. Anyway I hope to see you tomorrow. I just got a phone call from another cousin and you have definately started a buzz. It’s too bad I had’t heard before your departure. I’m in the Annapolis Valley and could easily have met you in Kentville. Maybe next time you are in town. 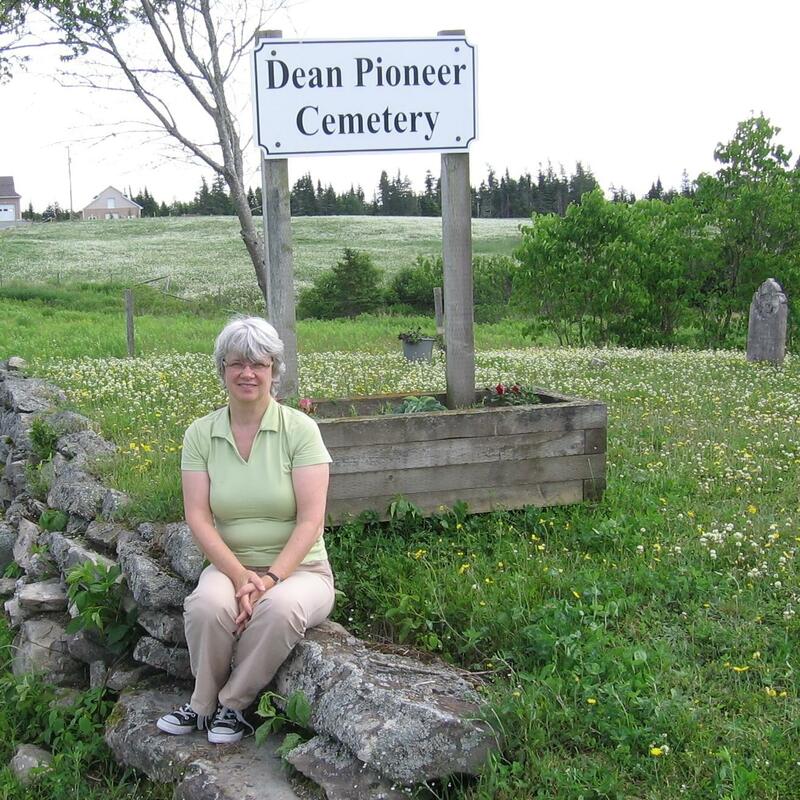 I’ve been doing our genealogy since about 1970 and a few years ago spent months living in Great Britain and visited all the old home sites and cemeteries. We should compare notes. Sorry it’s taken me so long to reply. I’ve been extremely busy and I’m off to Hawaii later today for a good rest. When I get back I’ll try to get in touch with you again. It’s too bad we missed each other when I was in Kentville. We had a great trip to Nova Scotia. Talk to you soon.